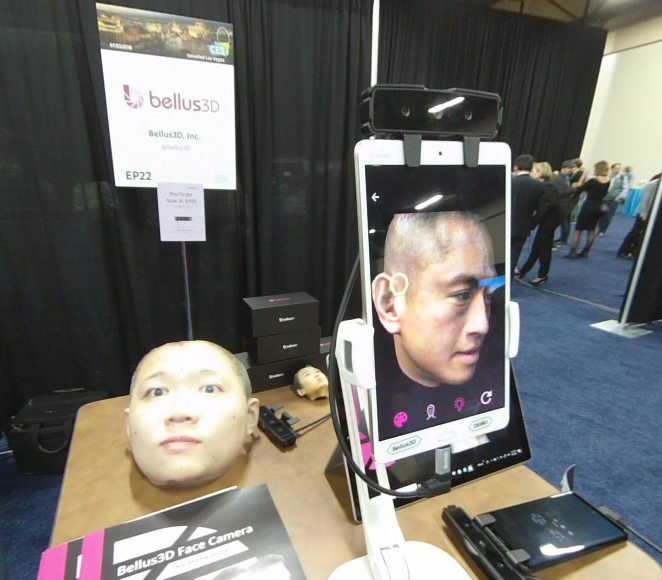 Bellus3D Face Camera Pro is available for preorder for $499. The cost is for the camera only. It does not include the tablet. Face Camera Pro has been tested with Android tablets (Samsung Galaxy S7 and S8, Huawei Honor 8, Samsung Galaxy Tab S3, and Huawei MediaPad M3), Windows tablets (Surface Pro), and Windows PCs. how was your face printed into the mask. what printer was used?